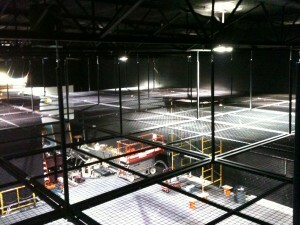 Over this Christmas season, Joe Frost and the Theatre faculty, and our maintenance team, have been overseeing the installation of a new lighting grid – a significant investment in the safety and ease of work for our lighting crews and future productions. 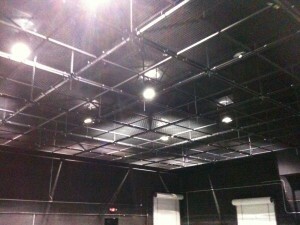 Check out Inter-America Stage’s website and see a video on their SkyDeck system. Crews continue to work to complete the installation – safety kickplates and handrails, two stair units (a spiral set near the theatre entrance, and a straight set backstage near our costume shop door), a ladder by our tech booth, and plenty of final adjustments to be made before completion. We were overwhelmed with a kindness of service from Bridget who took care of us. It wasn’t long before we discovered she was a strong Christan and been praying that morning because their business was slow this time of year. Then we met the owner, and discovered he is a 1994 graduate of Belhaven – Robert Giurintano. He’s moved to Northpark in hopes of broadening their business – but he says everyone comes in looking for Lens Crafters (at the other end). I think when people find out about Eye Line Optical it will be his end of the mall that will be busy. Their service was genuine, caring, and made selecting glasses easy. PLUS, if you go in and tell them you are connected to Belhaven as a student, alum, staff, or family member, they will give you a discount on top of their already exceptional prices. There is a Christmas gift for all of us – thanks Robert . . . and thanks for praying Bridget! Oh Lord God, whose Spirit moved across the face of the deep, over the chaotic void of the preexistent earth that we see today; O Christ Jesus, whose Word of divine authority flung the stars into their place, sent the planets into their orbit, and made the sun to be so perfectly aligned to this world that there are seasons — springtime and harvest, summer’s stilling sun and winter’s protective cover —that produce good, even out of our fallen condition; You are the God who brings order out of disorder. Oh God, this was true on the Lord’s Day on the Isle of Patmos, so many years ago, when St. John, your exiled servant, far from the comforts of his community, and perhaps, even taken from his Christ-mandated responsibility to Mary, the Mother of His Lord —surely, removed from the place of his vocation, and surrounded with void and emptiness and isolation and persecution which taunted his calling and assaulted his faith, so that he must have felt nothing like a saint much less a preacher — worshiped You because it was the Lord’s Day. We are perplexed as he and yet we too come to worship. Father, you were not absent from the chaotic scene in Connecticut nor are you removed from the void that is in the hearts of dear parents, brothers, sisters, children, husbands, wives, grandparents, teachers, and the community of grief — that Patmos in Connecticut. In the mystery of Providence and of our living in the land of good and evil we do not presume to come before your throne on this Lord’s day to affirm the enigmatic and unsearchable ways of Your nature and Your rule, for you are a good God who does not willingly afflict the children of men and yet you are so great, or else You could not be God, that there is not a single sparrow that falls without Your sovereign awareness and even, enigmatically, Your unfathomable will. We come to You not to seek to attain unto ways that are higher than ours, but to grab hold of the cloak of Jesus who came from heaven to earth, to bring the sovereign God good to our lives and who demonstrated the unfathomable ways of the Almighty when mankind is saved by the death of God, through the hands of His own creation. We rest, then, at the Cross. Oh Lord, this is a fallen world, and we are a fallen people living among those who are making their livings playing off of our sins. Our lives are filled with gaping holes through which every unimaginable evil is now worming its way to burrow in our minds and breed evil in our souls. O Father, we come with soul-wrenching questions that defy human answers. And our questions compose our prayer. If you were not hesitant to receive the longing of David when he cried out “How long oh Lord?” or the piercing cry of your sinless son from the timeless cross, “My God, My God, why have You for shaken Me?” then we can rest in this Bible truth; that our laments and our wailing cannot distance us from You, but only draw us closer to You. For you too wept. You too wailed over the loss of life. You are God, oh Christ, and you are one of us. What love. What pity. What understanding You have for those who hurt, much more than we can ever express or experience. Our consolation for them, and for ourselves, is therefore in You, Oh Jesus Christ. And so on this Lord’s Day we do not feel as though we are “in the Spirit” of Christmas. It is Christmas in Connecticut and the picturesque village is decorated, like so many of our homes, with festivities to announce Your birth. Yet the screams of children and the cries of empty arms mock the carols and the blur the colors of the street lamps covered with evergreen. 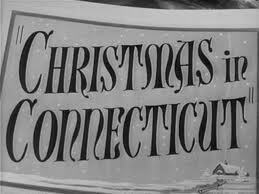 No, Lord, it does not feel like “Christmas in Connecticut.”” It feels like Patmos in Connecticut. It is Patmos in the souls of many of us. We are hurting. We are longing for You. Where are we to turn but to You? Come and move across the void and chaos of our souls. Come and speak to the grieving of those who have borne the mark of evil as the One who grieved over sin and death and whose sympathies reach into the core of our humanity in a way that no human words, not even the kindest human touch, can do for healing. Healing, healing, healing, deep healing in our void, chaotic pain will only come from You. With every deep, longing prayer of our hearts, as lowly creatures to an all holy Creator, come and save us. Come and mend us. Come and make us safe. In Jesus’ name. Amen. Thomas R. Patete, longtime Executive Director of Great Commission Publications (GCP), went to be with the Lord on December 14, 2012. Patete, an ordained minister in the Presbyterian Church of America, served Christ’s church through his position at GCP for 34 years. Tom received our Church Service Award at Homecoming this fall. He was a 1964 graduate of Belhaven. Tom was one of the Lord’s most gracious servants, and was a stellar representative of Belhaven University who set a high standard for us all to follow. 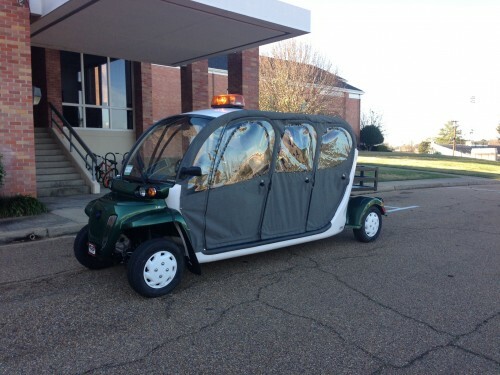 We ordered this new vehicle at the beginning of the semester to use as a shuttle to take students back and forth to the Center for the Arts in the evenings. It finally arrived today, and will be fully in operation when students return after the break. Here is in it’s “winterized” configuration. It seats six (or eight if they are smaller people) with room in the back for book bags. Normally the sides are removed and it is open. It can be driven in the street, but we prefer to use it on our sidewalk between Bitsy Irby and the Theatre Door of the Center for the Arts. It makes regular stops, or is only a phone call away, during evenings when activities are taking place in the CFA. I just wanted to write and say thank you to all of you for what you do for us residents students…a great service every day. It would not be the wonderful, enjoyable home away from home without your hard work. So, thank you so much and I just want you to know I am so very appreciative. Your work does not go unnoticed. There are many appreciative people and I know they are all very thankful as well. Thanks for making Belhaven livable and more like home. I have been reflecting the past two days on what a journey the last four months have been. I first time since THIRD grade in a class room setting, my first college production, my first college lead role(Thanks Mare! ), my first work call, my first strike, my first time living on my own, my first time studying for a test, my first A, my first C(heh…). I have had an incredible first semester of college and I’m blessed beyond measure to be surrounded by such Godly men and women at Belhaven University. If I had a dollar for everything I’ve learned… I’d have some serious dough. Nonetheless, I have made new friendships that I will have for the rest of my life. God knew what He was doing when He sent me to Belhaven. You can come to the JACKSON CAMPUS for traditional age students. . .
You can attend class at our ADULT AND GRADUATE campuses in Orlando, Houston, Memphis, Chattanooga, Atlanta (and Jackson) . 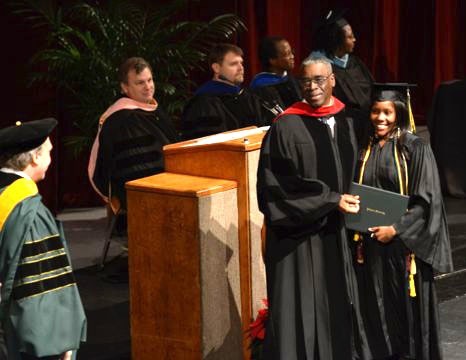 . .
Join Belhaven’s 3,500 students and get started toward your degree in January. Homecoming is set for Saturday, October 26, 2013. The football team will be beating Lindsey Wilson that day. The theatre department will be presenting a show that weekend. Other athletic teams will be competing. Lots more in the works . . . block the date.